Filed to: Hi-ya!Filed to: Hi-ya! Kung Fu Kidz, he's really not very tall. 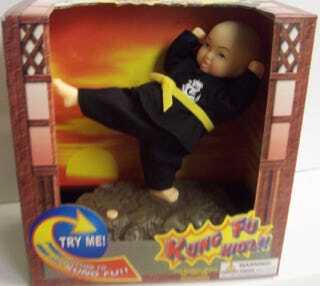 Kung Fu Kidz, bald like a billiard ball. and the looks of baby Spock.